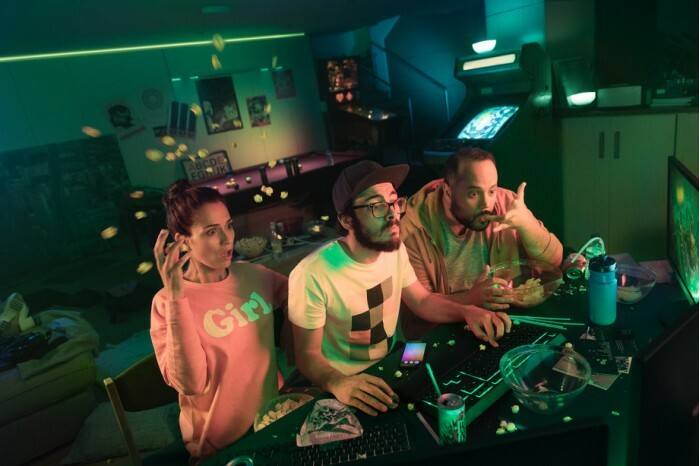 PHILPS lighting, the leader of global lighting, announced yesterday (8) that it has reached the first partnership with the world's leading player lifestyle brand Razer (Razer) on Philips Hue Entertainment services. In order to provide users with a new sense of spatial immersion, the two companies have integrated PHILPS Hue entertainment API, tools and Razer Chroma lighting ecosystem. Notebook computer, keyboard, mouse and mouse pad Razer magic Chroma products will be able to color with the PHILPS Hue intelligent lighting system synchronous transform lighting, game player can enjoy the game can be enhanced and the content of lighting effects. Game developers will be able to create dynamic lighting effects during the game. Gamers can enjoy the lighting effects of these games when they play "Overwatch", "Quake Champions" and other popular games. In order to unlock PHILPS Hue function and enjoy richer gaming experience, consumers need to use Philips Hue V2 Bridge control device, PHILPS Hue color bulb and the latest PHILPS Hue application software. Razer Chroma users only need to add Philips Hue functionality through Razer Synapse 3 software. Razer Chroma products (including game portable computers, peripherals and accessories) will be lit up in parallel with the synchronous Philips Hue lights. The collaboration between PHILPS lighting and Razer also provides a richer lighting experience for players when they don't play games. They can synchronize intelligent lighting and equipment, and choose any lighting set to create a perfect atmosphere. Razer co-founder and CEO Min-Liang Tan said: "Razer Chroma is the world's largest gaming equipment lighting ecological system, and the integration of PHILPS Hue are changing the family gaming experience, will enhance the sense of immersion of the game to a new level of hitherto unknown." Next：LED lights are added to the environment controlled planting system and plants can grow in space.